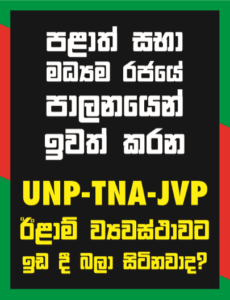 The SLFP yesterday said that it would take a legal action against the gazette notification which had set up the Police Financial Crimes Investigation Division (FCID) as it was instructed by a Ministerial Sub Committee (MSC) headed by Prime Minister on its final decisions against persons summoned before it. Addressing a media conference at the SLFP headquarters, UPFA General Secretary and SLFP National Organiser Susil Premajayantha said that they were not against setting up of such a division. But, politicians must not be allowed to manipulate it, he said, noting that there five clauses in the gazette notification. The entire gazette was politicised due to the final one.